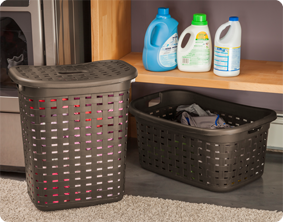 The Weave Laundry Basket combines the decorative look of wicker with the convenience of easy-to-clean durable plastic that will not snag clothing, and adds a touch of fashion to everyday laundry chores. 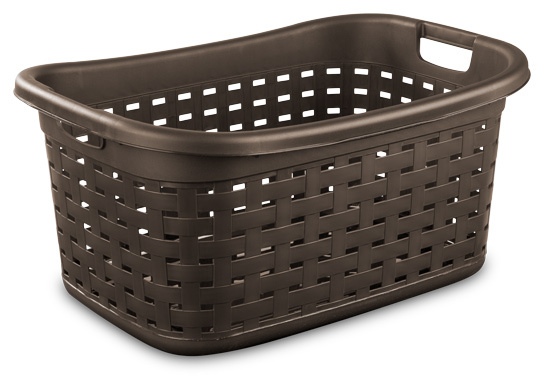 The rectangular shape and integrated handles, on the short ends, make the Weave Laundry Basket comfortable and easy to carry. This item was designed with a sturdy construction and a reinforced rim for long lasting use in the home. The visually appealing, wicker pattern allows for plenty of ventilation and helps disguise laundry that should stay hidden. 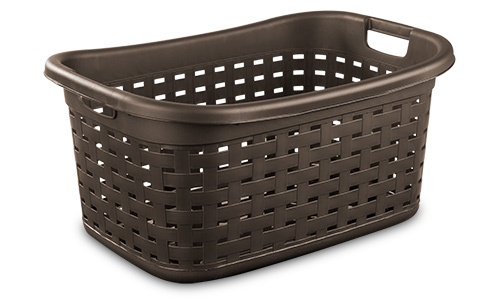 The overall dimensions of this item are 26" L x 18 3/8" W x 12 1/2" H.
Overall Assembled Size: 26" x 18 3/8" x 12 1/2"
This decorative basket is great for large, family-sized loads of laundry. Weave Laundry Basket is rated 5.0 out of 5 by 2. Rated 5 out of 5 by merrypanda5 from Fantastic I got this basket as a replacement for one that broke and let me tell you this is 100% perfect! The construction of the weave is so sturdy and since the handles are built in I know they won't break for crack. The durability will be perfect cause it's made to hold up, the Weave looks nice and will help with the durability. Love this new basket. Rated 5 out of 5 by ShellaRae from My favorite hamper yet I love the smooth durable plastic and the design of this hamper! It actually makes my laundry room look Nice!